Singapore is possibly one of the world's most well-known destinations for street food, and many tourists make it their business to spend at least a few of their mealtimes in the city at one of the different hawker centres while they’re visiting. Of course, even as a local, you could eat at hawker centres every day and still discover dishes you haven’t tried before. However, there are always certain street foods that suddenly gain a mass following and become globally popular. Here’s a look at what international trends in street food have gained traction in Singapore. The original Poké (pronounced Poh-kay) bowls in Hawaii have always been based around cubed and seasoned raw fish, which is served on top of a bowl of sushi rice. But now, as the poké bowl trend has gone global, all kinds of variations are popping up. There’s always a common theme though, and that’s that every bowlful provides a nutritious and balanced meal. Some poké bowls feature tofu, others meats such as braised beef, and it's not always rice that provides the substance to accompany the flavours - it can be quinoa, bulgar wheat or zucchini noodles too. See Deliveroo’s take on Singapore's best poké bowls that can be delivered to your door. Following the bowl theme, there’s another bowl dish that’s in vogue at the moment, and that’s the acai bowl. Mostly ordered for breakfast, these beautifully colourful dishes can make a great snack at any time of the day. Acai is an antioxidant superfood from South America that offers many health benefits. As well as tackling oxidative damage, it can promote better skin, a healthy heart and boost your immune system. As well as being good for you, acai bowls have the advantage of being a delicious snack you actually look forward to eating. Sometimes described as a smoothie that’s eaten with a spoon, every acai bowl has an acai smoothie at its base, and it’s then customised to taste with different toppings, such as sliced bananas, strawberries, chia and hemp seeds. While it’s possible to make your own acai bowl at home, there are plenty of different eateries now serving them around Singapore. Try them at HICJUICE superfood bar at The Centrepoint. While most of us equate street food with savoury flavours, there are plenty of times you’re out and about and get a craving for something sweet. Ice cream rolls have been a part of the Thai street food scene for quite some time, but recently, these delicate curls of ice-cream with myriad toppings have become popular all over the world. There are plenty of places in Singapore that have these ice cream rolls on their menus. Try Go Frost’s local flavour combos such as Golden Horlicks, Bandung, and Teh Tarik Milo. Perhaps one of this year’s most surprising food trends is those dishes that involve activated charcoal. Allegedly great for a detox and to aid digestion, these foods first got popular in the States, but in Singapore you can choose to take your dose of charcoal in frozen yogurt at Black Mamba. 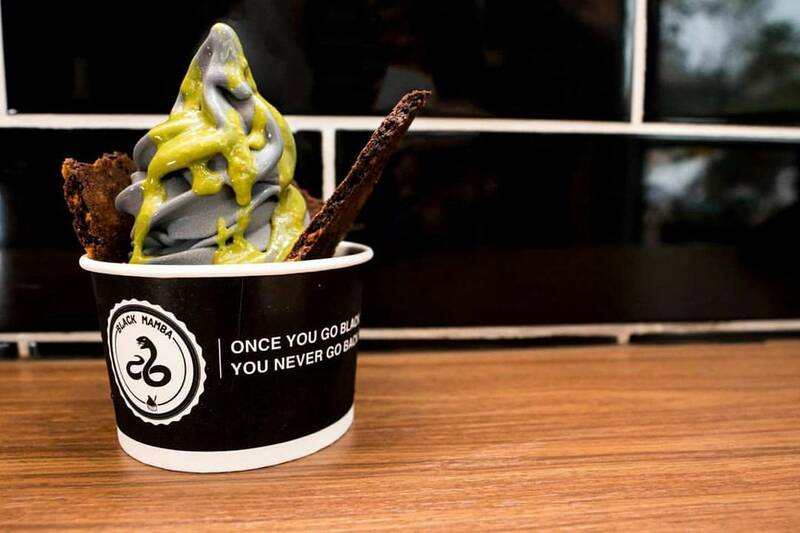 While the charcoal yogurt makes for a sombre-looking base, the different toppings that you choose - anything from aloe vera to caramelized popcorn - add colour to your cup. While it’s a fun way to try a novelty food, there has been some suggestion that too much charcoal might not be good for you, so this is probably not something to indulge in too often! 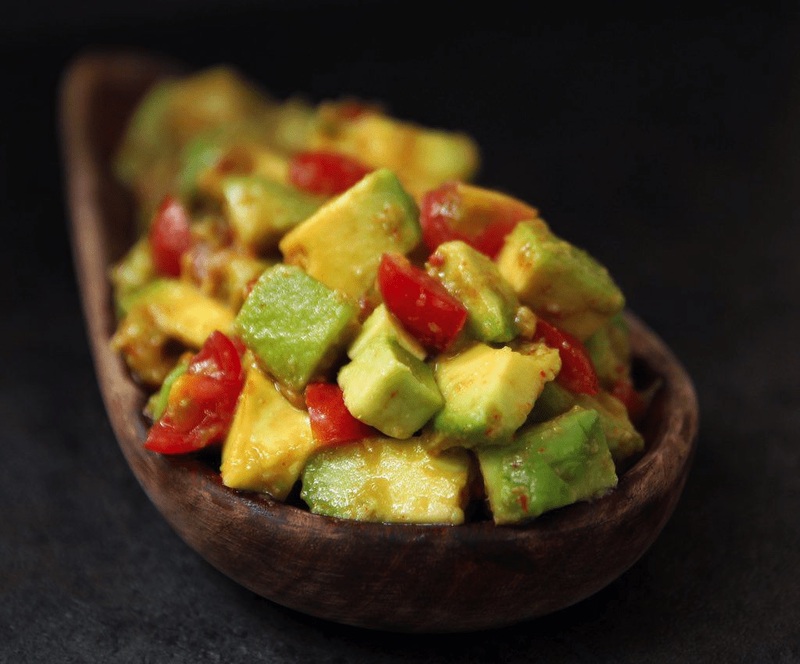 The great thing about food trends is that there’s always something new to tempt your taste buds. Whether it's going to be a fad or long-lasting favourite, we'll never know sometimes, but it's fun to go try the food and see how you like it!